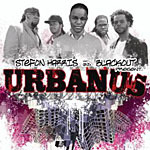 Sonic Creed arrives almost a decade after this groove outfit's last showingUrbanus (Concord, 2009)but the time away hasn't hurt the band. If anything, Blackout has become a more limber group capable of carving out more capacious settings. 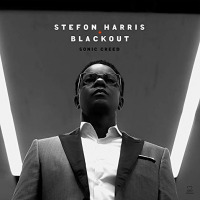 With key personnel holdovers like drummer Terreon Gully and saxophonist Casey Benjamin, well-suited Blackout newcomers such as pianist James Francies and bassist Joshua Crumbly, and a handful of notable guests, there are new worlds of possibility to be found within this realm. Opening with an updated take on Bobby Timmons' "Dat Dere," Harris and company immediately nod to Art Blakey's place in the pantheon while painting a funky futurist's vision. The sophisticated yet earhty edges of that opener hearken back to many of Urbanus' signatures, but what follows demonstrates the aforementioned wider gaze: "Chasin' Kendall," a lightly soulful Harris original written for the vibraphonist's two sons, rides peacefully atop a singsong bass line; "Let's Take A Trip To The Sky" is pure loving reverie, a slow jam written for Harris' wife that highlights guest vocalist Jean Baylor's soothing pipes; Horace Silver's "The Cape Verdean Blues," a number that Harris once arranged for the SFJAZZ Collective during his tenure with that super band, bounces, swerves, and shimmers in all the right ways; and album centerpiece "Go" gives Wayne Shorter his due by providing some unexpected turns while also maintaining a prescribed outlook. 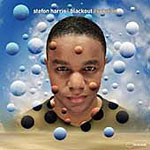 The second half of the program, no less diverse in its expressionsand equally united in its belief systemsopens with a diasporic design penned by Lasean Keith Brown, the son of pianist Donald Brown Jr.; "Song Of Samson"'s Afro-Caribbean allure, augmented by Pedrito Martinez's hand drumming, is self-evident. Then comes a haunting take on Abbey Lincoln's "Throw It Away," with Benjamin's soprano saxophone riding atop the spectral haze and humidity. Baylor returns for a nod to Bobby Hutcherson in the form of a stately trip through the late vibraphonist's "Now," adding breathy touches to this soothing setting. And then the album closes with an intimate tip of the hat to an icon with universal appeala duo rendition of Michael Jackson's "Gone Too Soon" pairing Harris' vibes with Joseph Doubleday's marimba. Whether taken as a racial and cultural signifier or simply viewed as a collection of complementary songs in a post-fusion landscape, Sonic Creed hits the mark with unerring accuracy and extreme clarity. 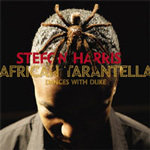 It's Stefon Harris at his honest and unswerving best. Track Listing: Dat Dere; Chasin' Kendall; Let's Take a Trip to the Sky; The Cape Verdean Blues; Go; Song of Samson; Throw It Away; Now; Gone Too Soon. 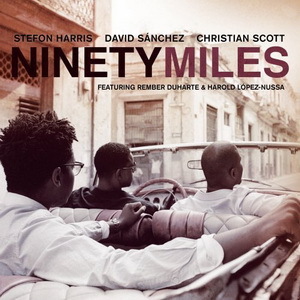 Personnel: Stefon Harris: vibraphone & marimba, James Francies: piano (1-8) & keyboards (1,3,7); Joshua Crumbly: bass (1-8); Terreon Gully: drums (1-8); Casey Benjamin: alto saxophone (1, 2, 4, 5), soprano saxophone (6, 7), vocoder (3, 8); Mike Moreno: guitar (1, 4, 5, 7, 8); Jean Baylor: vocals (3, 8); Regina Carter: violin (8); Joseph Doubleday: marimba (9); Daniel Frankhuizen: cello (8); Pedrito Martinez: percussion (1, 2, 4, 6); Felix Peikli: clarinet, bass clarinet (1, 2, 4-6, 8); Elena Pinderhughes: flute (4, 8).